Today you’ll learn 2 ways you can improve your IELTS Speaking at home. 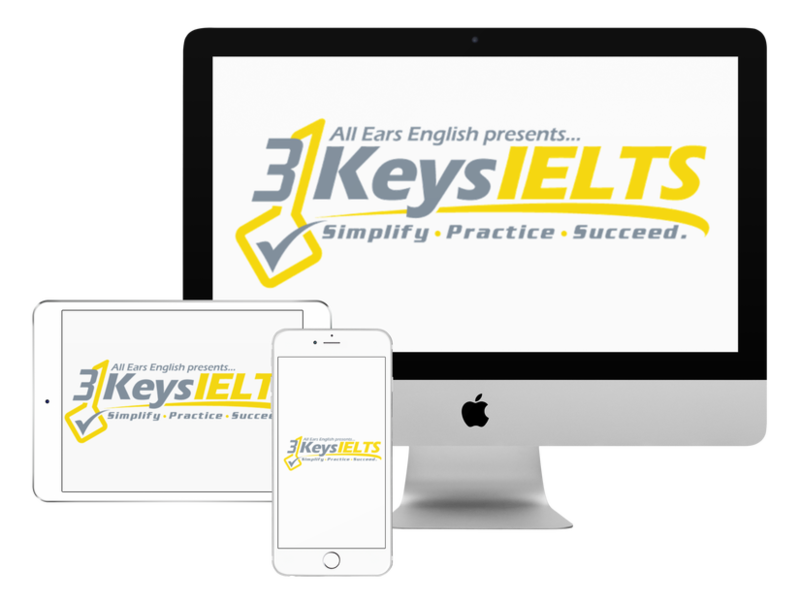 Today’s advice has helped thousands of students achieve the scores they need on IELTS, as they have dedicated themselves to our 3 Keys IELTS Success System. Just like our student Ana, who got a 9 on her IELTS Speaking Exam! She also increased her Writing score from a 6 to a 7.5, using our system of strategies. In order to improve your speaking score, you must have a balance of activities in your study plan that includes both fluency (being natural and spontaneous), and IELTS-specific practice. If you only practice IELTS test questions, you won’t improve. You won’t be learning anything! So, every time you watch/read/listen to something in English, you should talk out loud about it for 5 minutes. Start by summarizing the information you just took in, then talk about your opinion on it. You must know what the examiner is listening for, as it is different in Speaking Parts 1, 2 and 3. In terms of vocabulary, timing and structure, you are expected to show different abilities on the three parts of the Speaking test. So, you should be studying IELTS strategies and learning about the exam in an online course, such as 3 Keys IELTS. After you learn about the strategies, do as much test practice as you can, in addition to developing your overall English fluency. Comment on this video and ask me your IELTS questions!